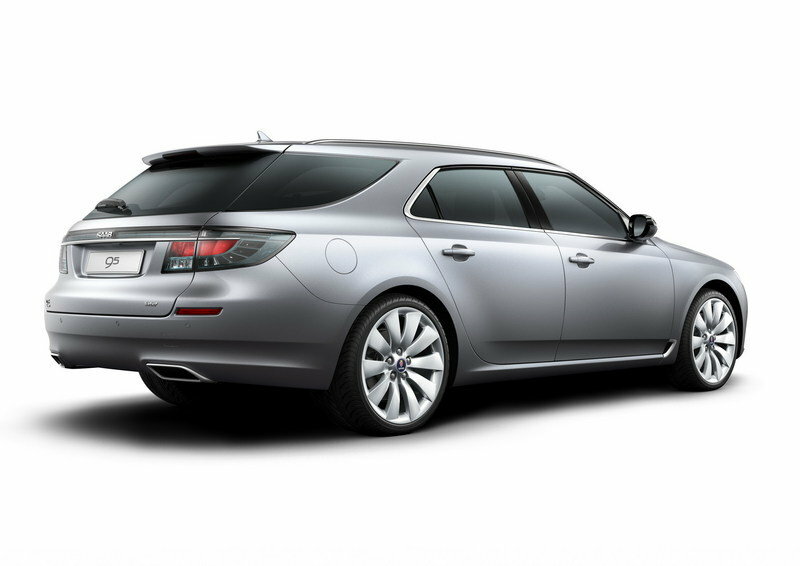 Saab has unveiled at the Geneva Motor Show a station wagon version of the new 9-5 sedan. The new model will share the same AeroX-inspired exterior look and will feature an extended, falling roof-line which culminates in a steeply raked rear screen flanked by signature Saab wraparound window glazing. The new SportWagon version will be offered with the same all-turbo petrol and diesel engines the 9-5 sedan version and, XWD all-wheel-drive system and advanced features such as: Saab DriveSense adaptive chassis control and adaptive cruise control starting late 2012. "The launch of the 9-5 SportWagon is a much-awaited next step in the roll-out of our new product offensive," says Saab Automobile CEO Jan Åke Jonsson. 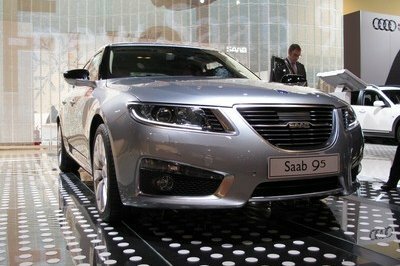 "It will take Saab back into the large estate segment where we have established a strong presence in many key markets with our previous offering." Sale on the US market will begin later this fall. 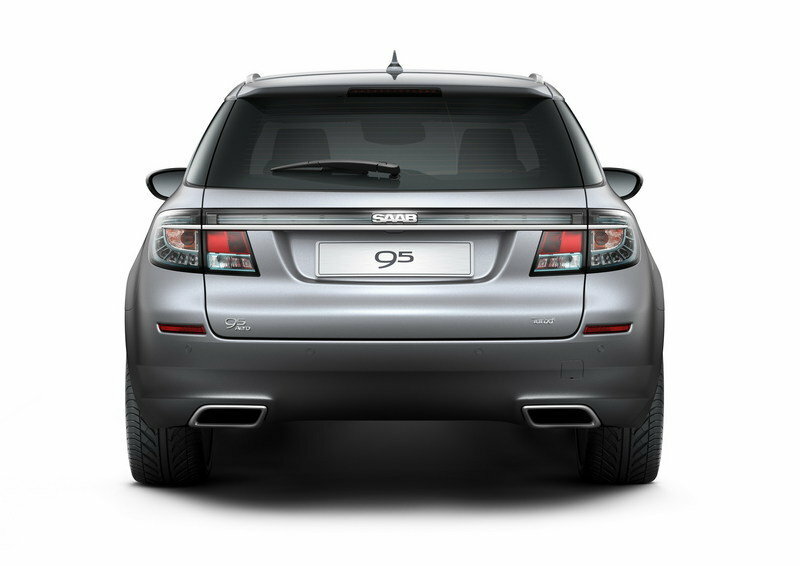 Hit the jump to read more about the Saab 9-5 SportWagon. Like with the sedan version, the SportWagon’s exterior design is inspired by the Aero-X Concept: there is a deep grille flanked with curving, ice-block headlamp units, a wraparound rear window graphic, a deep rear spoiler integrated into the top of the tailgate and ultra-slim roof rails. At the rear, a full-width "ice-block" rear light bar wraps into light units at either side, continuing a new signature Saab styling theme first seen on the 9-5 saloon and 9-4X crossover. The SportWagon has a cargo deck of almost two meters long (1,962 mm) and offers an adaptable load capacity of up to 1,600 liters (527 liters, rear seats up). The side walls are completely flat and upright, creating a clean, open space without any hard-to-use corners or rear wheel-arch intrusions. Compartments in the side walls offer convenient stowage for small items. Four tie-down loops and a 12-volt power outlet also come as standard. The engine line-up will start with a 1.6-lite engine that can produce up to 180 hp and goes up to 2.8-liter turbo V6 engine that puts out approximately 300 hp. The engines will be mated to a six-speed transmission in either stick-shift or semi-automatic. All the engines will be combined with XWD all-wheel-drive system, Saab DriveSense adaptive chassis control and adaptive cruise control. 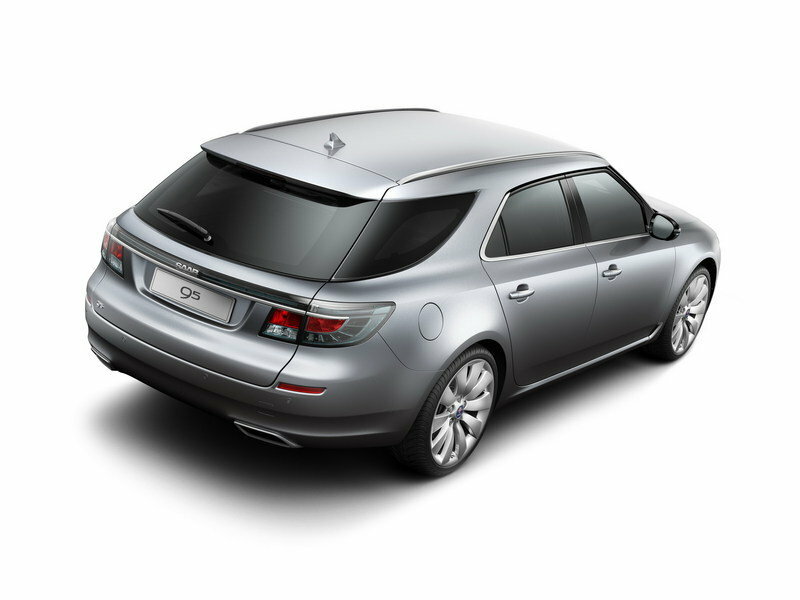 The new Saab 9-5 SportWagon will compete with models like Cadillac CTS Sport Wagon, Audi A6 Avant and BMW 5 Series Estate. And at this point any of the three competitors looks much more promising than the 9-5. 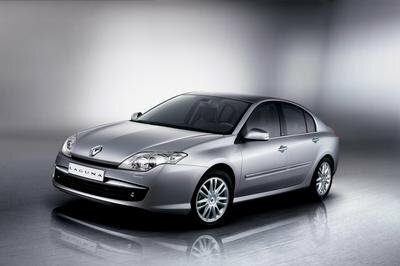 If the car’s exterior look will be the only factor when deciding in buying the car or not, the 9-5 will loose for sure. But lets take a look at their performances. The CTS is offered with a 3.6-liter 263 HP V-6 or a 3.6-liter with added direct injection, which increases output to 304 HP. The A6 is offered with two gasoline engines and three TDI units, with power ranging from 204 HP to 300 HP and the BMW 5-Series comes a choice of two straight-six petrol engines as well as a four-cylinder and a six-cylinder diesel with output ranging from 184 to 306 HP. prices will be announced at a later date. Very elegant on the interior and exterior. 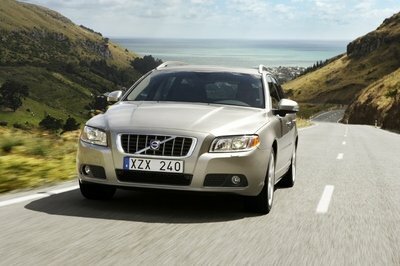 I love how Saab made some good adjustments on how they could create a good wagon. 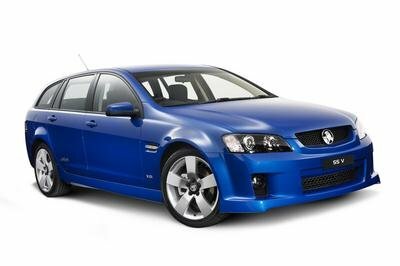 It’s very much sporty and much ready. It has a V6 Engine. Well, I’m sure it can give it’s best while driving. The wheels is nice in white. The interior of this Saab 9-5 Sport Wagon is really looked very luxurious, and I love the fact that it is also so spacious and comfortable, and that it as well had plenty of technological features which I love the most in a car. 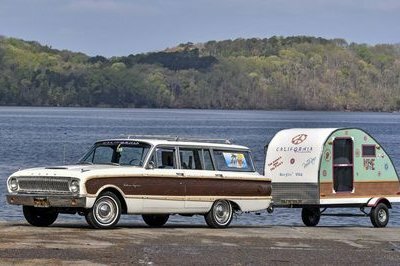 It looks like a limousine for me, I love its classy and luxurious looks of this SportWagon. I just don’t really think that V6 engine is quite good on it. The CTS is offered with a 3.6-liter 263 HP V-6 or a 3.6-liter with added direct injection, which increases output to 304 HP.